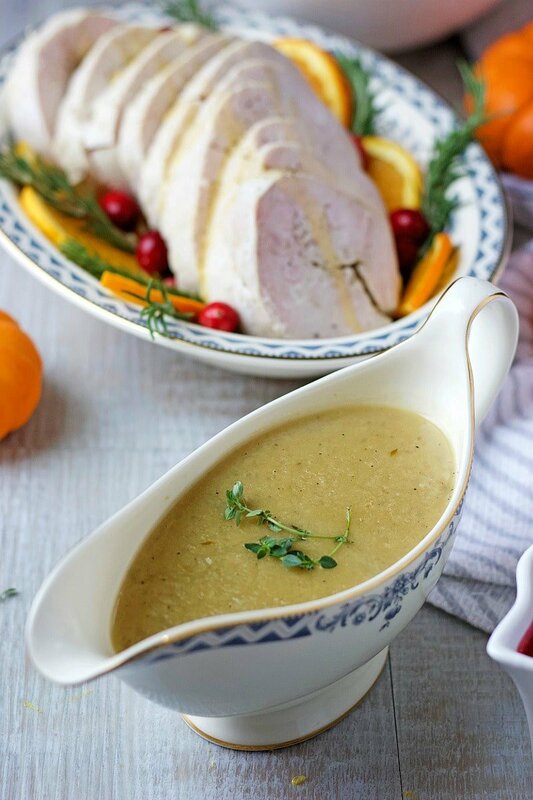 Buttery creamy with tiny onion bites, this all-purpose Instant Pot Turkey Onion Gravy is perfect for all your holiday celebrations! Have you ever made a recipe that absolutely changed everything for you? 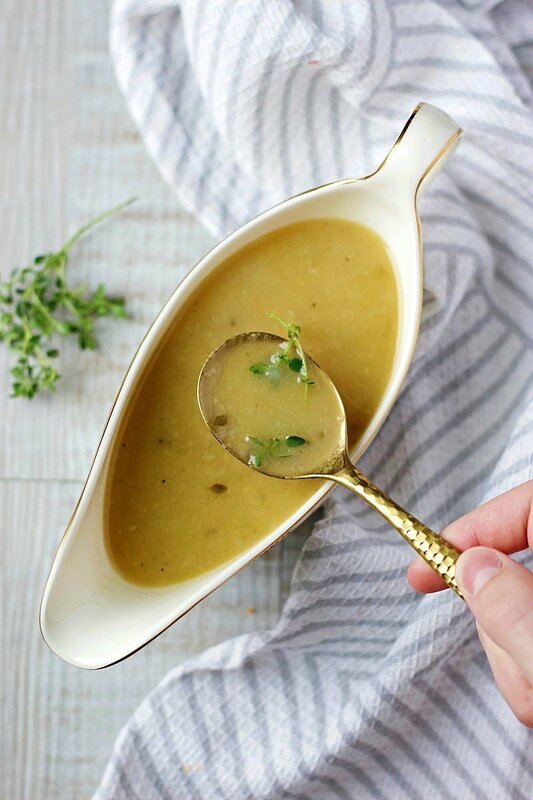 This just happened to me thanks to this AMAZING Instant Pot Turkey Onion Gravy! Take my word for it, this recipe is life changing and don’t be surprise if someone end up eating it like soup. It’s that good! First off, I’ll probably gain a lot of enemies by saying this but I did not like gravy before. It never made it to my plate, no over turkey or chicken, or beef, or potato, no over anything I am afraid. The turkey gravy is so flavorful no one can resist! It’s either the flavor or the texture. Or both. And this can be resolved with flavor boosting onions and a delicious creamy texture with tiny bits of onion, in case the plain thick stuff doesn’t go down so well. And so I had gravy, lots of gravy in fact. Both flavor and texture were spot on delicious, buttery creamy with an occasional tiny crunchy onion bite and a hint of thyme. I made this Instant Pot Turkey Onion Gravy last week along with this Instant Pot Cranberry Sauce and served with these delicious Brown Butter Sage Sweet Potatoes, Maple Glazed Green Beans and off course Apple Sage Stuffing. I bought some turkey meat at a local farm and celebrated our early Thanksgiving dinner, as it has been part of our family tradition. I was so pleased that the kids enjoyed the two new additions to our traditional menu, this homemade gravy and the homemade cranberry sauce. Honestly I was just waiting for them to ask for the store bought stuff but they did not, and we all had second servings. Turn the instant pot on sauté mode. Melt the butter and add in the onion. Sauté for 2-3 minutes or until translucent. Then add in turkey broth and fresh thyme. Cancel sauté mode. Close the lid and turn valve into lock position. Cook on high pressure for 10 minutes. When done cooking allow for natural pressure to be release. Transfer about 6-8 tbsp of the hot turkey broth into a small bowl and stir in whole wheat four until it forms a paste. Pour this flour paste into the instant pot and turn pot on sauté mode. Stir until dissolved and broth thickens (about 5 minutes). Season with sea salt and pepper as desired. 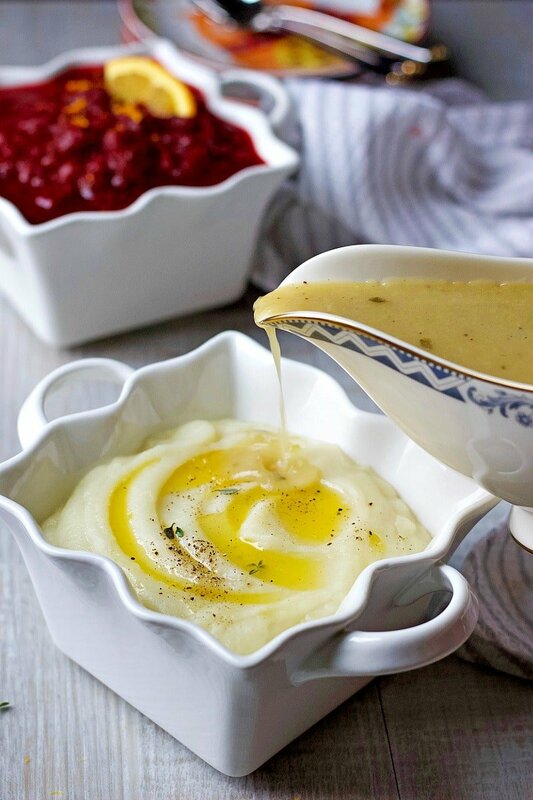 Remove thyme stem and transfer gravy into a gravy boat and serve.